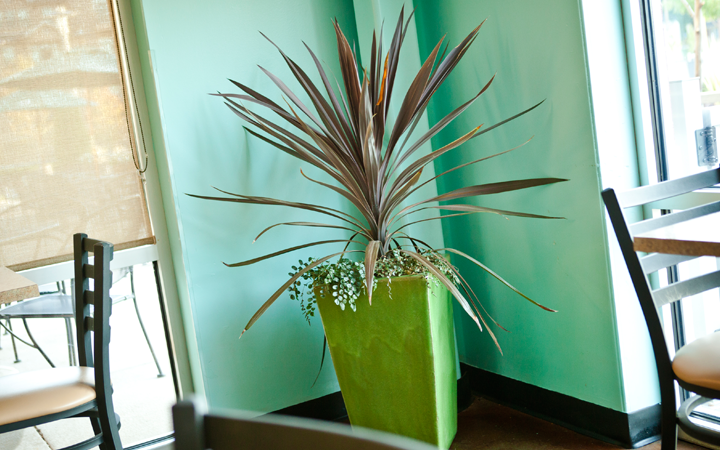 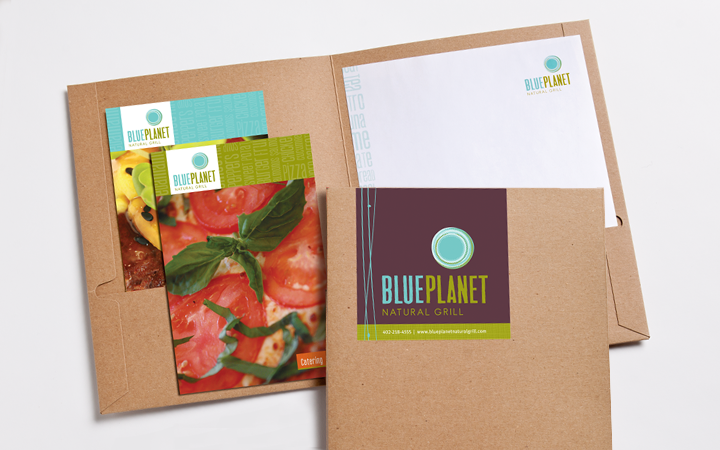 A brand refresh for a casual restaurant with a healthy mission. 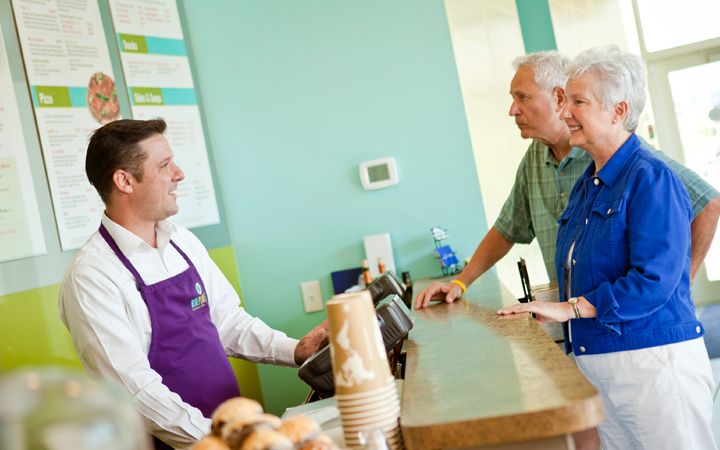 Connecting customers to great food with a good cause. 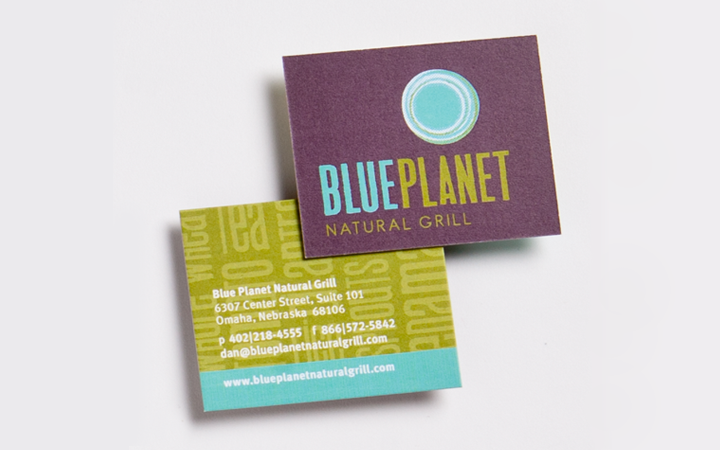 Blue Planet Natural Grill is a casual restaurant serving additive-free meals made with organic and all-natural ingredients. 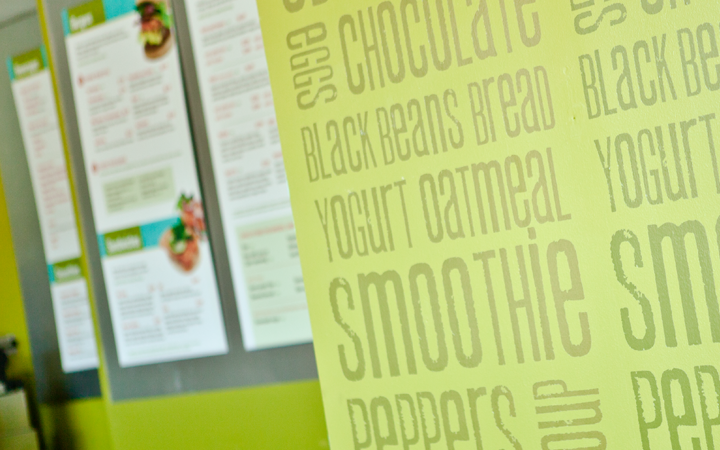 A brand refresh clarified their message, created an emotional connection with customers, and raised local awareness about this restaurant with a cause, serving great food that is good for you. 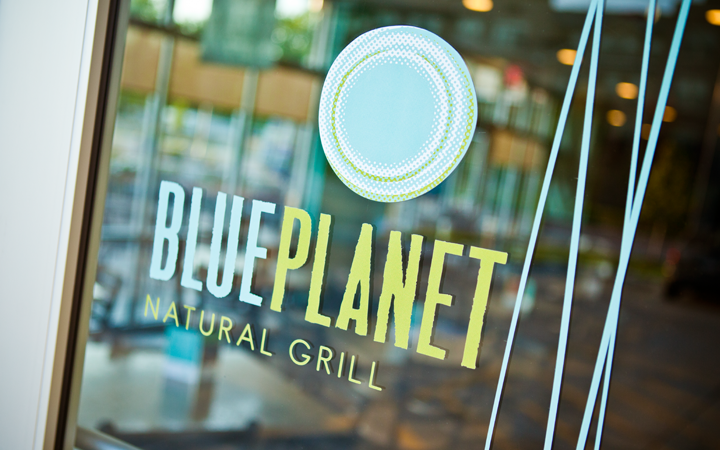 Initial research showed that customers really loved the healthy, great-tasting food at Blue Planet Natural Grill—but they didn’t have an emotional tie to the restaurant or brand. 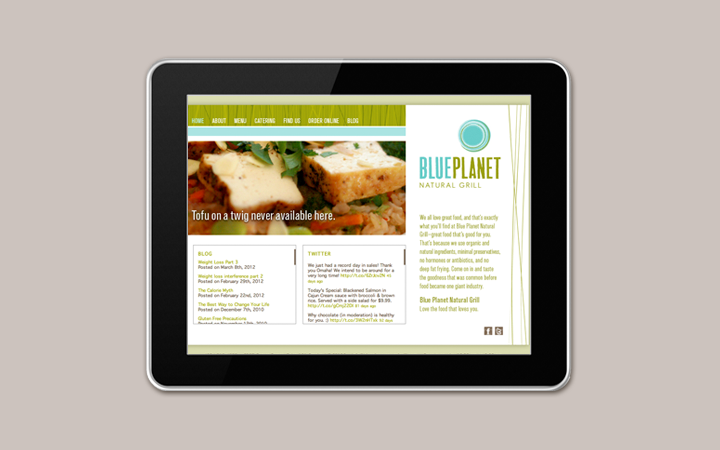 Blue Planet needed to present a compelling, consistent message and inviting environment to stand out and gain more repeat customers. 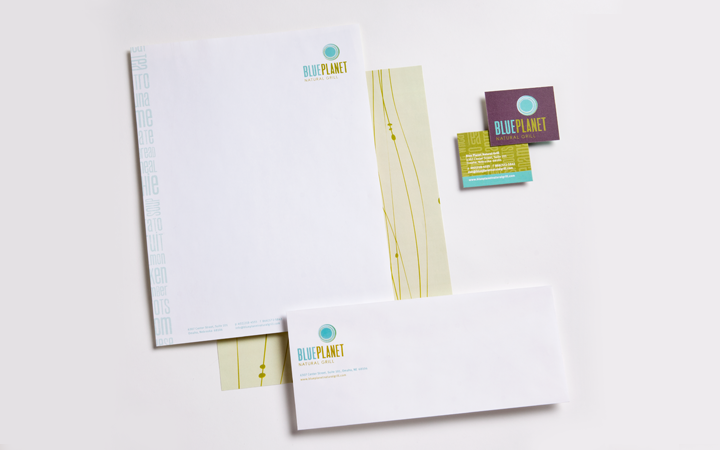 Utilizing Blue Planet’s core values and brand promise, we created a new identity and color palette that better reflected their mission. 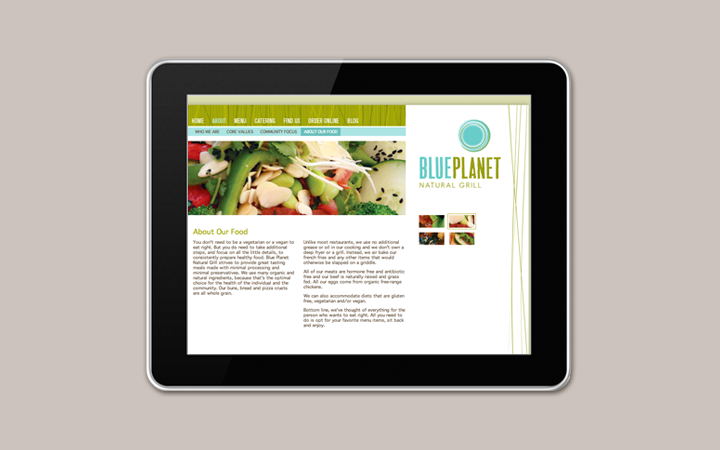 Together, we set goals to improve all consumer touch points including an updated website with mouth-watering photography and redesigned menus making it easy to find and order, new branded pizza boxes, take out and catering menus, table tents, inviting interior and unexpected employee uniforms. 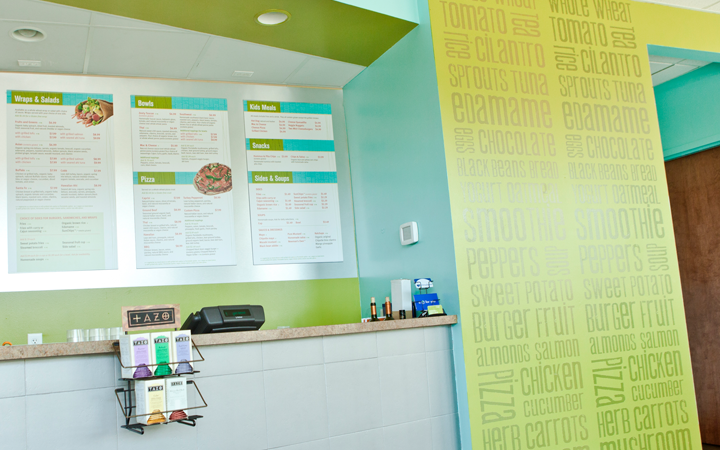 In addition, we worked with the owners to get involved in a local school district’s healthy eating movement, as well as suggesting using various social media to introduce new customers to the restaurant. 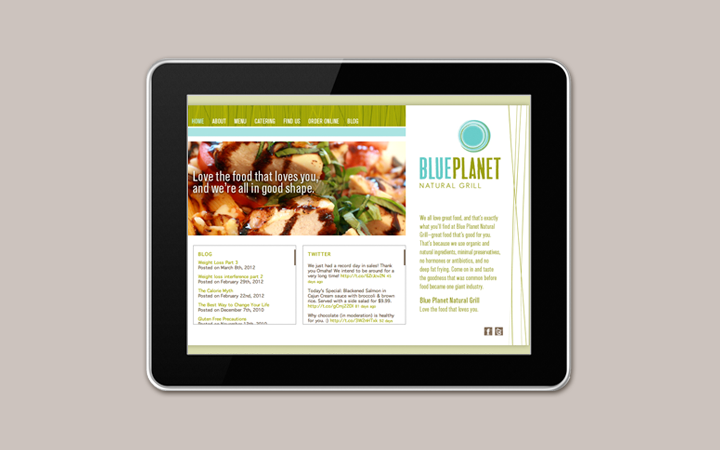 The result is a revitalized brand that is unique, friendly, and memorable. 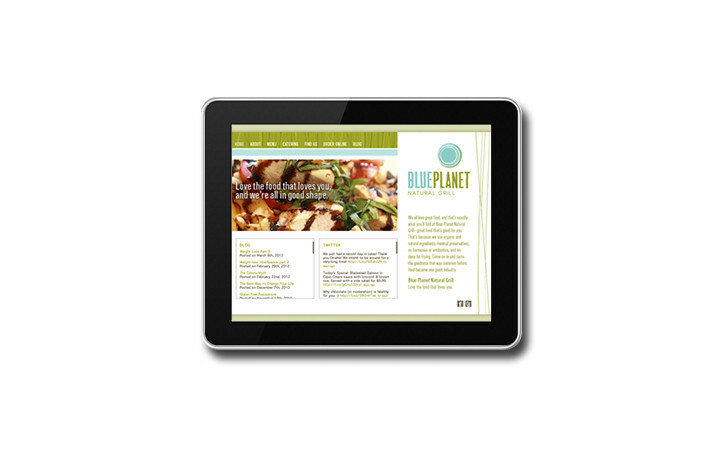 Blue Planet already had an amazing product and mission—now they have a brand to match.